 September was a month of celebrations at Holmwood Aged Care with 10 residents and the Facility Manager all having birthdays. 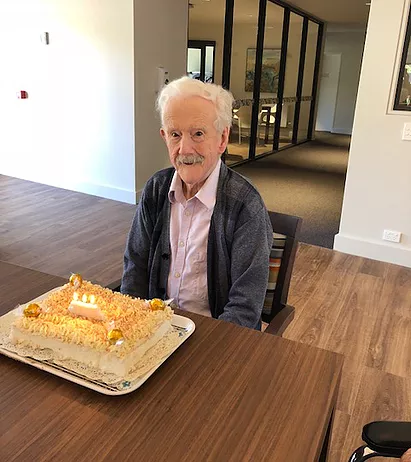 It was a special milestone occasion for Frank Secomb who turned 100 years on the 20thSeptember. Now that’s worth celebrating! Much to his excitement, he received a card from the Queen of England congratulating him which he has on display in his room. 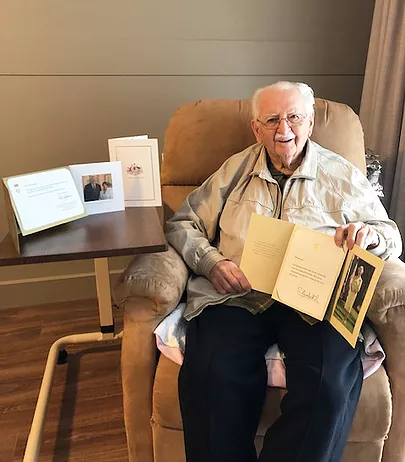 He also received cards from the Prime Minister and the Governor General. 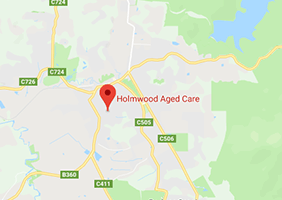 Other residents that enjoyed their birthday included Constance Hamilton-Porter, Jill Rewse, Tom Fleet, Cairn Patton, Leslie ‘Nipper’ Gadsden, Delia Lemon, Ray Griffiths, Glenise Mullens, Joan Drowley and Facility Manager Rachael Beever. 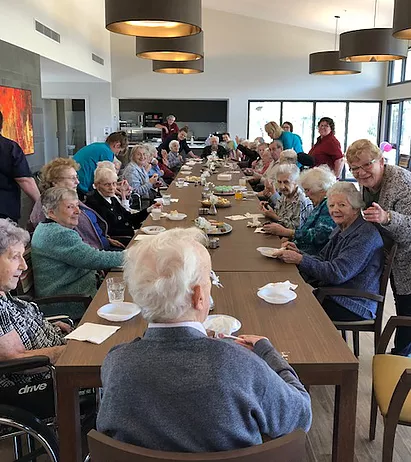 The home celebrated the birthdays individually so that the residents felt special on their day. There were festive balloons and afternoon teas. 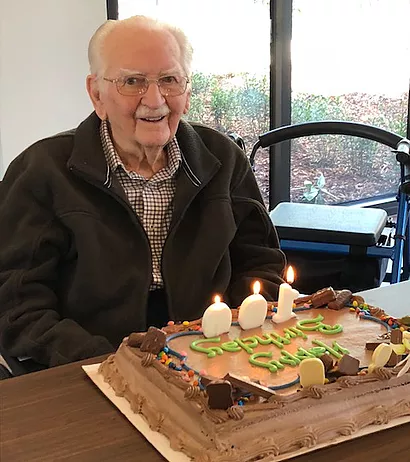 Residents choose their own flavour of cake that included lite candles to make that traditional birthday wish. Frank has a sweet tooth and is a great lover of anything chocolate so this was a natural choice for him. Friends, family and staff joined the partying, wished the birthday residents well, sang Happy Birthday and enjoyed the events.